The 1971 song ‘Life on Mars?‘ is now seen as Bowie’s masterpiece, but is it equivalent to Sinatra’s 'My Way'? Martin Kemp & music expert Tris Penna explore the song’s creation. 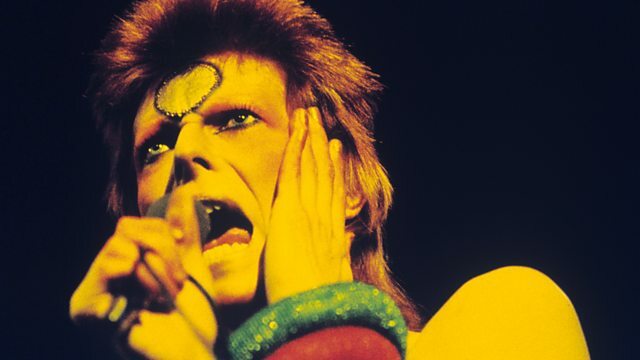 Is ‘Life on Mars?’ Bowie’s legacy song – the one he will be most remembered for? We have exclusive access to unheard recordings of Bowie’s original demo and other archive. "Life on Mars?" is one of David Bowie's most astonishing songs, prompting some observers to describe it as Bowie's own "My Way." The irony is, it very nearly was: in 1968, Bowie wrote an early lyric (A Fool Learns to Love) to French singer Claude Francois’ ‘Comme D'Habitude’ which was rejected – Paul Anka’s lyrics weren’t & the song eventually became Sinatra’s ‘My Way’. Three years later when ‘Life on Mars?’ was released on the Hunky Dory album ‘Inspired by Frankie’ is written in David Bowie’s handwriting on the back cover. We tell the story of how the song came about and we learn what it was like working in the studio with Bowie. Bowie described it as being ‘a young girl’s reaction to the media’; the lyrics best described as being ‘painting-like’, impressionistic. Contemporary singer/songwriter Marc Almond examines the lyrics and uncovers the origins of inspiration for the song. We speak to Sophia Anne Caruso, the 15 year old actor who worked with Bowie on his musical Lazarus and is now singing ‘Life on Mars?’ in the London production. We speak to Bob Grace who was Bowie’s music publisher, record producer Ken Scott, studio engineer Ray Staff, and we hear from Mike Garson, who played the piano in Bowie’s live performances, and he played the song over 200 times live. We also hear from Mick Rock who filmed the video for the song, from singer Dana Gillespie, Friend of Bowie -Wendy Kirkby, Music Publisher Geoff Heath, Bowie biographer Kevin Cann & author Nicholas Pegg.